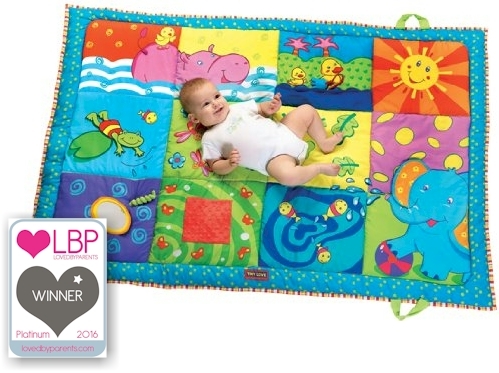 Amazon has got the Tiny Love Super Mat for $18.63 with free Prime shipping and free returns, the lowest recorded Amazon price on this item. The mat measure is a thick quilt. The mat measure is a thick quilt and measures 59x39. The dimensions of this item when shipped is: 19.1 x 3.5 x 29.1 inches when folded and fitted into a clear plastic case.